Over the last few years paving jointing compound has become more and more of a necessity. In tandem with this we’ve seen the industry develop and construct new products to ensure the safety of your patio throughout the year. 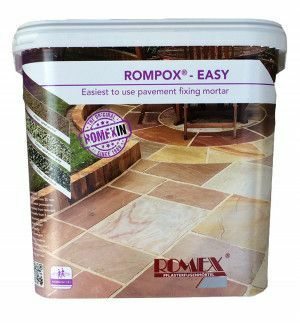 Advances have been made with products such as patio grout and patio pointing mixes to ensure that your paving has a healthy appearance at all times. We pride ourselves on stocking products such as the Rompox paving gout range from Romex, allowing our customers to receive the highest standard of quality available on the market. 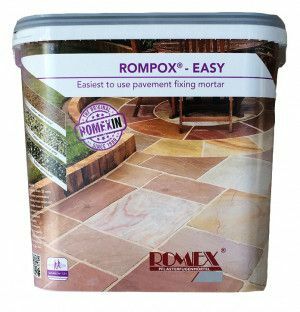 One example of this is our Rompox Easy pointing mortar, which aids a healthy patio through weed and abrasion resistance, as well as other benefits. With high quality patio grout you are able to provide the protection necessary to prevent an issue such as cracking during the freezing temperatures of winter. Having such a product should also save you time during the initial laying process of the patio. Paving slab grout should be a product and material supplement that’s built and set to last, and this is what we aim to provide through our excellent range paving grout solutions. Over the years and in the past, paving slabs of all sizes were joined through methods that encompassed sand and cement. With this in mind, cracking was always likely as the water in the mixture could expand in the event of freezing temperatures, meaning that otherwise perfectly good slabs were ruined by something such as substandard patio pointing mix. This made the practice of patio pointing almost pointless as issues would only happen again. Now though, thanks to advances in the industry this hard work no longer goes to waste. This problem is a thing of the past thanks to a specialised patio jointing compound. On a microscopic scale the compound expands and contracts to such a small degree that cracking cannot occur as it directly bonds to the paving oppose to simply filling a gap as cement would. 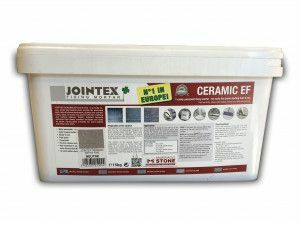 Something that encompasses the forward thinking approach to patio grouting is our Jointex range. Not only do Jointex products secure your slabs but they also enhance weed control in a way that other products cannot. 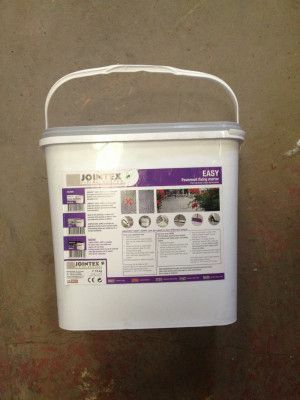 As part of their range Jointex Easy Joint is available; a ready mixed mortar that’s fit for immediate use. 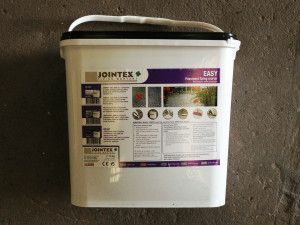 Our patio jointing mix products are excellent for all paving slab sizes and shapes, and we have a range of products that will protect your patio from the elements and other factors that may affect how it looks. We have moss and mould remover to clear the sealant of any unwanted growths; colour intensifier to make sure that your sealant matches your paving slabs and stays that way; and stain prevention products to ensure that should you spill something on the patio, the sealant will not stain. 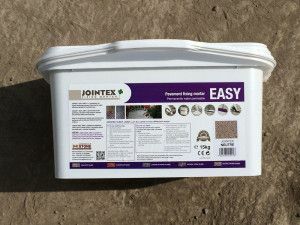 At Landscaping Supplies Direct, our range of jointing compound products are ideal for paving slabs of all shapes and sizes, making us a market leader as a paving and Easy Joint stockist. 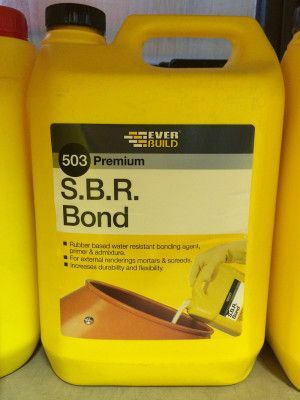 To compliment this we have a range of products that will help protect your patio in all weathers and from all elements, making sure that it looks as good as the day it was laid. 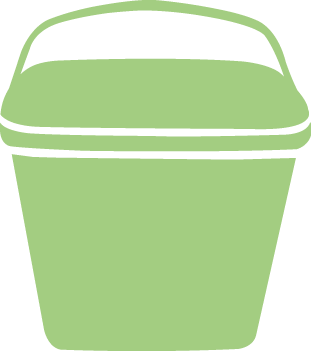 If your issue is with unwanted growths along the sealing line then our moss and mould remover should be able to tackle that, no problem! Equally, to ensure that the sealant matches the colour of your paving slabs we offer a colour intensifier, along with stain prevention products to combat unwanted marks on your patio area. 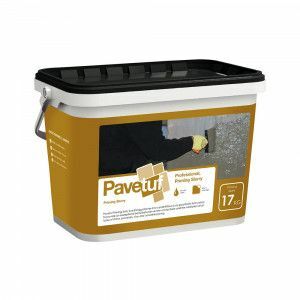 Visit our paving section to get quality paving and patio grout supplies delivered direct to your door.